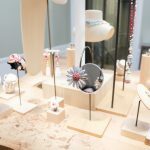 Spend the day with me at the Avenue Montaigne offices of Christian Dior, and step into a secret garden that sets the stage for their lavish new collection of floral jewellery, inspired by the gardens of Versailles. It was a pleasure catching up with my favourite jewellery family, Buccellati, at the Place Vendôme. The new Buccellati High Jewellery creations are unique, one-of-a-kind pieces that showcase an inexhaustible passion for technique and design. It is why Buccellati are admired all over the world, and I wouldn’t expect anything less. 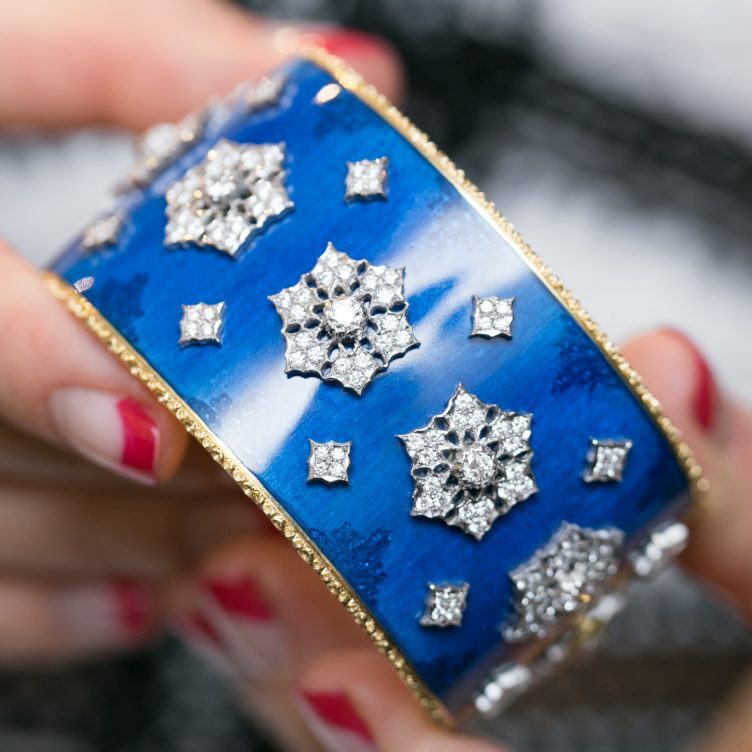 In their pursuit of elegance and driven by a desire to push the boundaries on creativity and savoir-faire, Buccellati never fails to impress. 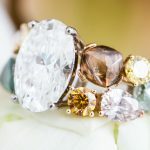 Each design is a revival of extreme taste and exceptional jewels using traditional goldsmithing techniques that experiment with avant-garde designs. 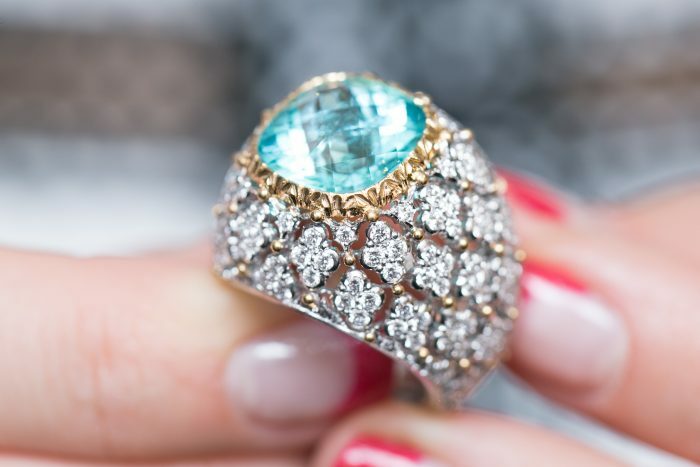 Buccellati Ring with Paraiba Tourmaline. 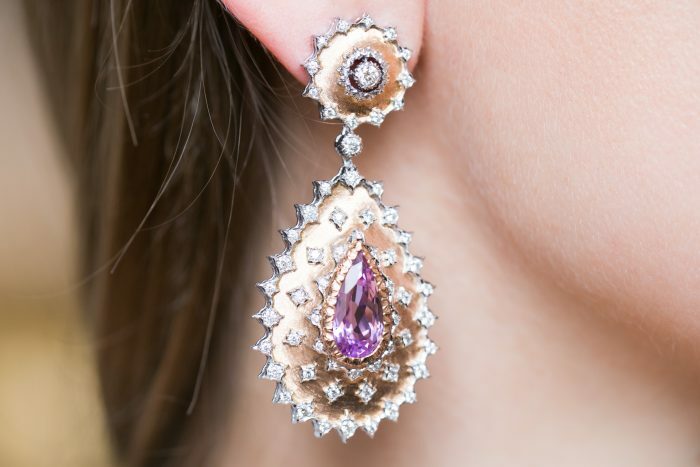 Buccellati Drop-Shaped Pendant Earrings in pink gold, radially “rigato” engraved, centering a pink goldleaf-modeled bezel set with two 12.94cts kunzites. 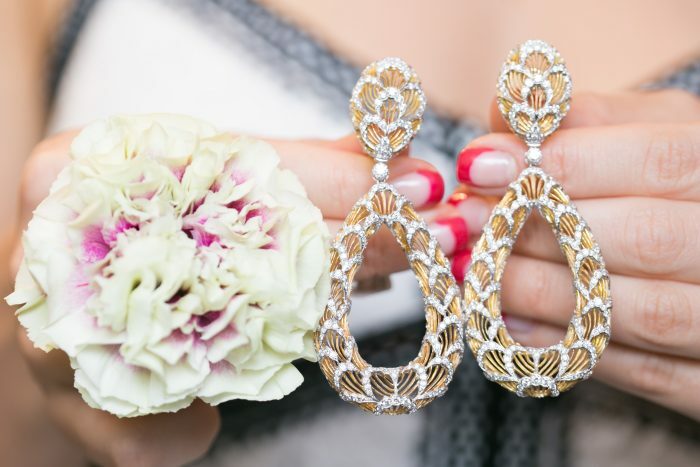 Buccellati Honeycomb Cocktail Earrings in yellow gold with radial tulle workmanship, with white gold curls set with 5.38cts diamonds. 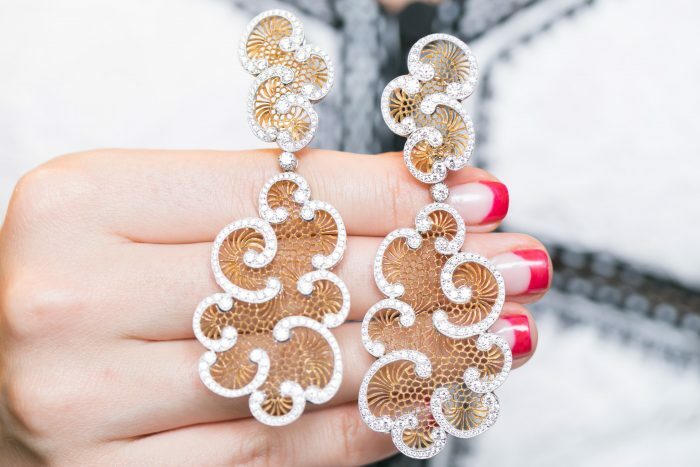 Buccellati Earrings in yellow gold. 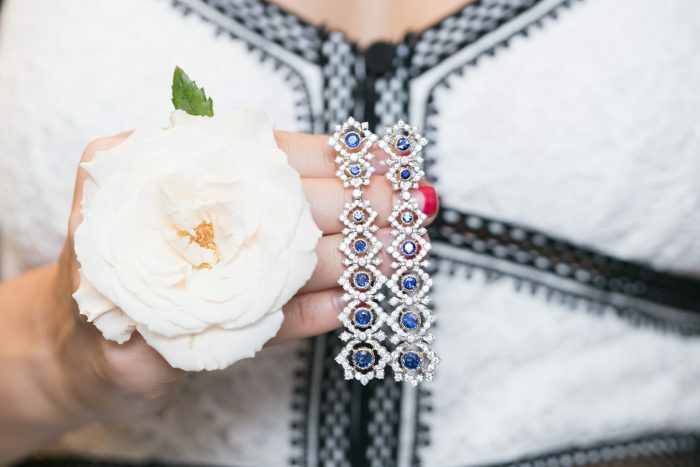 Buccellati Earrings in white gold with sapphires. 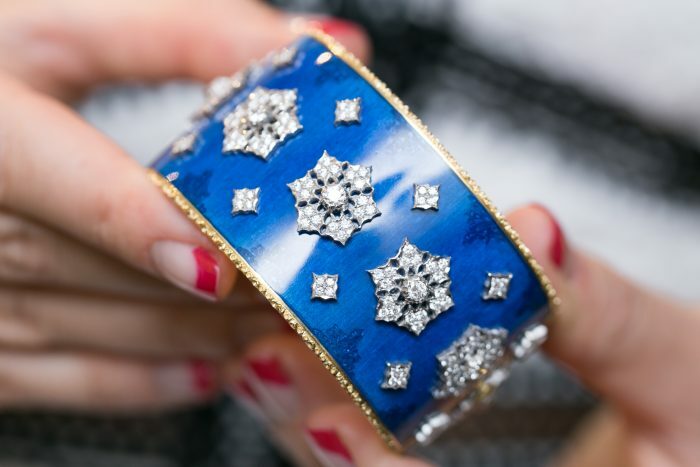 Buccellati Bangle Bracelet In Yellow gold, “rigato” engraved, with side triangular rosettes and blue enamel, 262 round brilliant-cut diamonds 4,82ct. *Styling and Art Direction by Liza Urla. Assistant Sarvenaz Dezvareh.